Rent Cipollina | Corporate Events | Wedding Locations, Event Spaces and Party Venues. In September of 2013, we as a team decided it would be best for us to focus on one cuisine, Italian. Since then, our menu has grown into this fantastic entity that spans several regions of Italy. Started by Ron and Peggy Weiss with Jeffrey Weinberger, Cipollina West Austin Bistro comes from the venerable stock that brought us Jeffrey’s and Shoreline Grill. 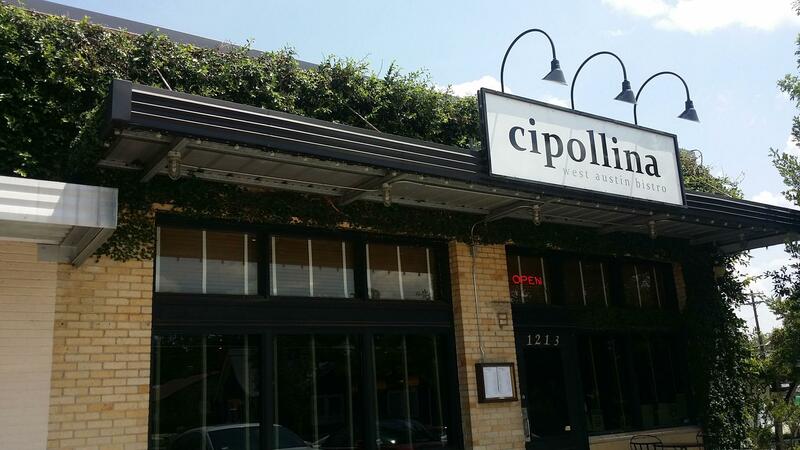 In Cipollina, the three create an atmosphere that both honors its muse of the familiar Italian bistro, and supports the wellspring of local food sources which make Austin so remarkable. With additions of Zach Zellmer as general manager, and Matthew Grimes as executive chef, Ron, Peggy, and Jeff have created a multigenerational family set to navigate the growth and change Austin is both destined for and already experiencing, while paying homage to its small-city cooperative roots. Couples drive to Cipollina from all corners of Austin to share in something special but not stuffy. Clarksville neighborhood regulars walk over every day for a meal that exceeds their own ability, yet remains well-priced and offers the same low-key feel of home. Interspersed with a Paolo Conte refrain, you hear the sound of laughing friends catching up and the comfortable murmur of a family recounting their day.